Geevor Tin Mine, formerly North Levant Mine was operational between 1911 and 1990 during which time it produced about 50,000 tons of black tin. It is now a museum and heritage centre. 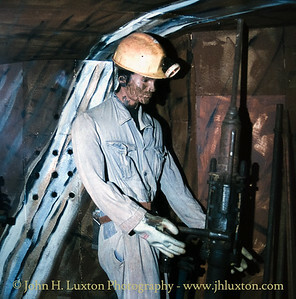 left as a living history of a working tin mine. 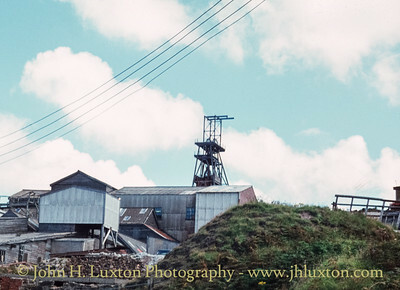 Tin and copper have been mined from the general area of Geevor since the late 18th century. It was originally a small enterprise known as Wheal an Giver, "a piece of ground occupied by goats". The area was worked under the name of East Levant Mine until 1840 and then as North Levant from 1851 to 1891 when it closed. During the 1880s as many as 176 workers were employed at the mine, but in the ten years after North Levant's closure the site saw only intermittent activity by a few miners. At the turn of the 20th century a group of St. Just miners who had emigrated to South Africa were forced to return by the outbreak of the Second Boer War. They leased the area and conducted more thorough prospecting, being encouraged enough to set up a company called Levant North (Wheal Geevor) in 1901. 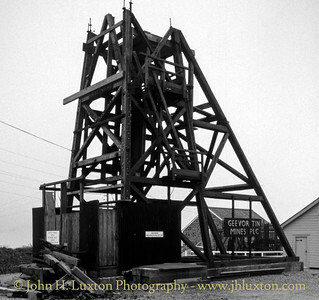 This was acquired by the West Australian Gold Field Company Ltd. in 1904 which brought together various mines under the name of Geevor Tin Mines Ltd. in 1911, not long after the price of tin had rapidly risen to £181 a ton in 1906 from a low of £64 in 1896. 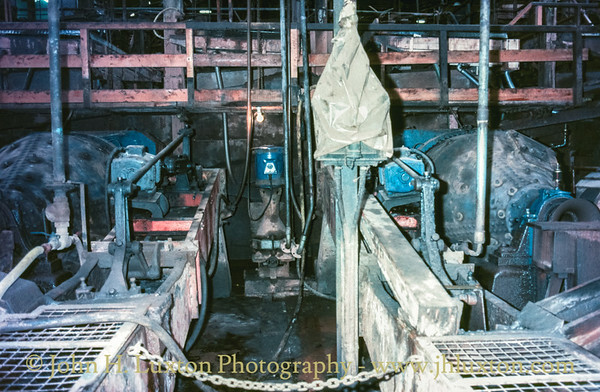 The Wethered shaft (named after Oliver Wethered, one of the founders of the mine) was begun in 1909 and initial development occurred around it. By 1919, the works were moving west toward the coastline and the Victory Shaft (named to celebrate the end of the First World War) was sunk about 540 metres to the north-west. The mine suspended operations in 1921and again for 12 months during the tin crisis in 1930 that permanently closed many other Cornish mines. In 1944 working through Wethered shaft was discontinued, but the Victory shaft continued in use. From the end of World War II until the early 1960s both Geevor and South Crofty found it hard to raise capital and to recruit skilled miners. Both mines took on Polish and Italian miners at this time. 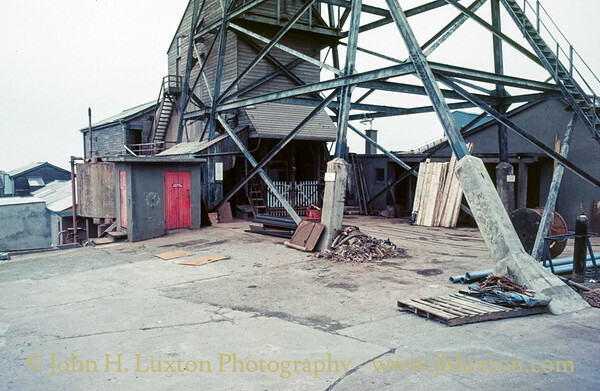 New investment, forward-looking management and rising tin prices in the 1960s improved matters ]and at this time around 270 staff were employed by the mine. 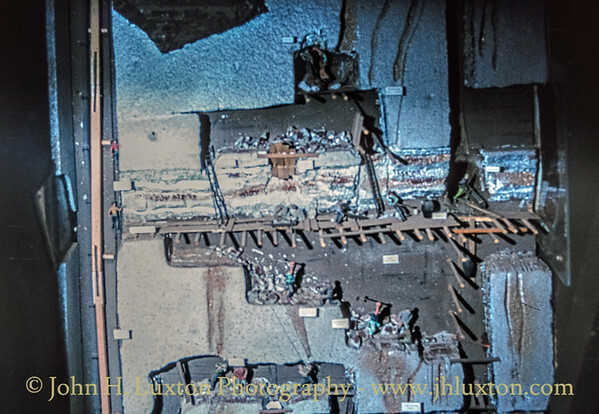 During the 1960s there was much underground exploration; this included extending into the undersea workings of the Levant mine that had closed in 1930, work that was complicated by a hole in the seabed that first had to be plugged before the workings could be drained. By the 1970s Geevor's sett covered an area of about three square miles and included Boscaswell Downs mine, Pendeen Consols and Levant mine. 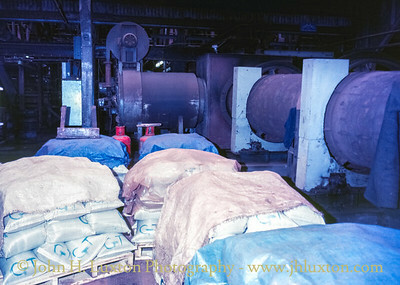 In 1985 the International Tin Council failed and there was a dramatic fall in the price of the metal. 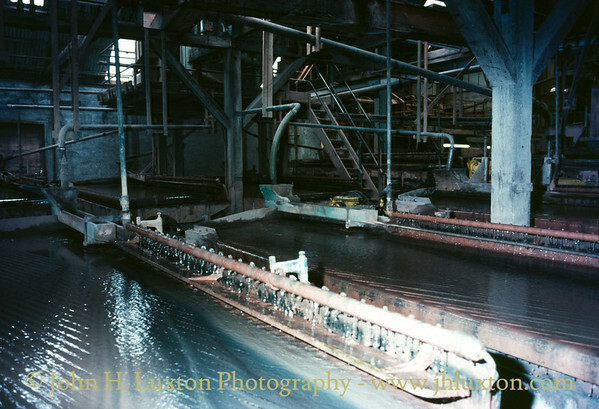 The mine struggled on for a few years, but closed in 1990, and the pumps were switched off in May 1991 allowing the workings to flood. 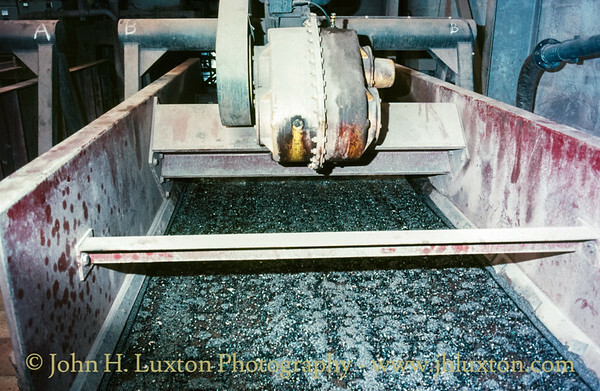 The mine is not geologically exhausted of tin, but it is exhausted of tin that is recoverable economically. During the 20th century Geevor drove over 85 miles (137 km) of tunnels from which it produced around 50,000 tons of black tin and made a profit of over £7 million. 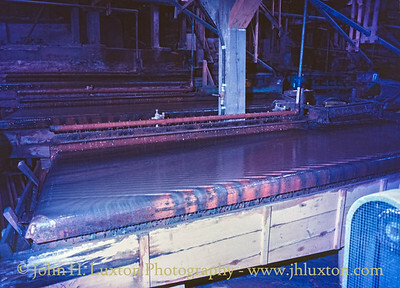 On average over a million gallons of water, a quarter of which was sea-water, was pumped from the mine daily. 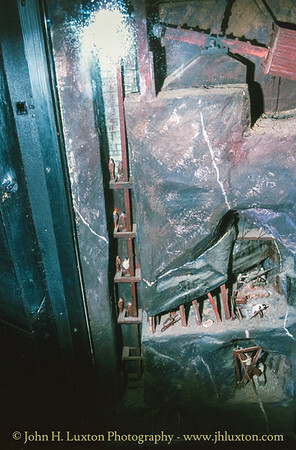 Several years before closure Geevor Tin Mines plc had begun to develop a museum and visitor centre on the mine site with conducted tours of the surface workings of the mine which included the mineral processing plant. Towards the end the mine’s operational life premium tours into the deep workings were offered partly in the hope that the revenue could keep the pumps running until the tin price recovered. 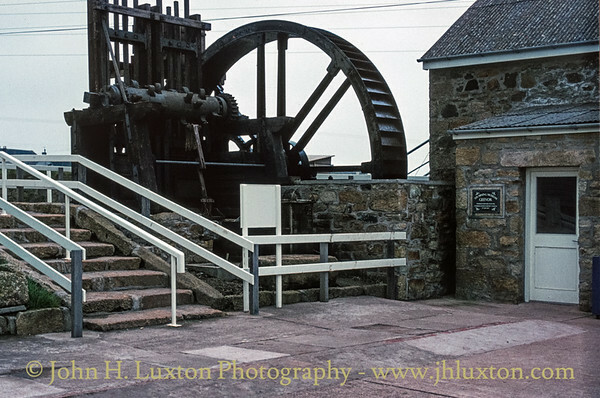 Unfortunately, in 1991 the pumps were shut down and the mine flooded. However, with the support of the County Council and funding from various bodies including the Heritage Lottery Fund the surface buildings of the mine has been developed as a museum and it is now an important part of the Cornwall and West Devon Mining Landscape and was recognised by UNESCO in 2006. View of Weathered Shaft and headgear. It was around this location near to the main road that the first stages of the Geevor Museum was developed when the mine was operational. 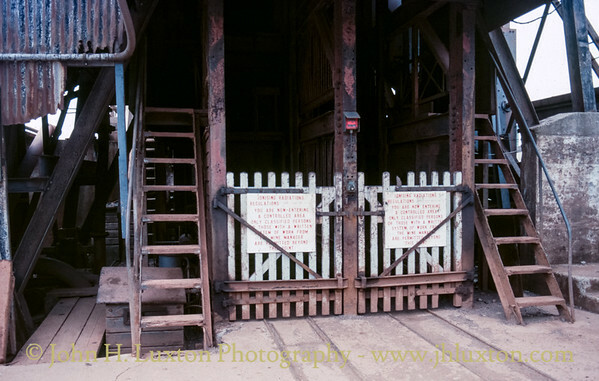 Victory Shaft headgear and winding engine house (right). 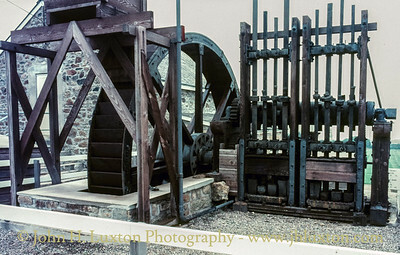 The restored 19th century waterwheel and Cornish Stamps stamps at Geevor Tin Mine, Cornwall, England. 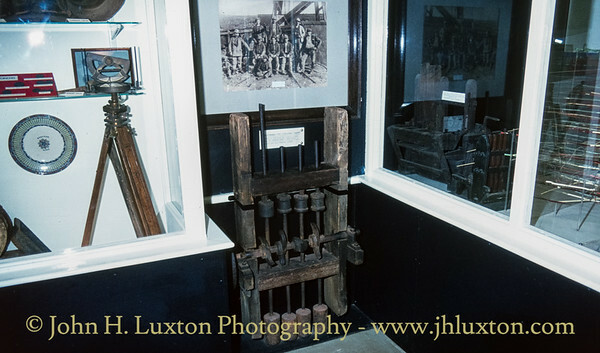 They were removed from Locke Farm, near Nancledra, in 1983 and installed at the Geevor Tin Mining museum. 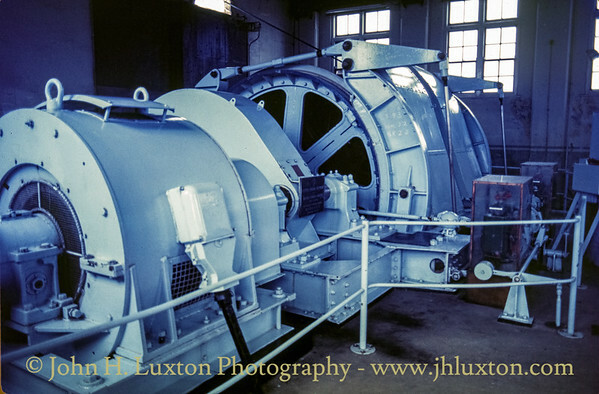 Geevor Mine Victory Shaft electric winding engine. 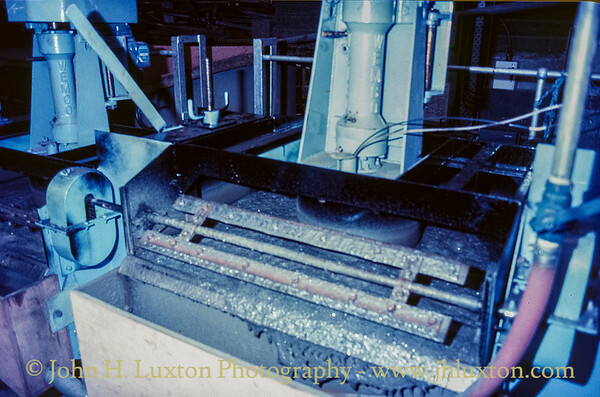 Wethered Shaft headgear under reconstruction. 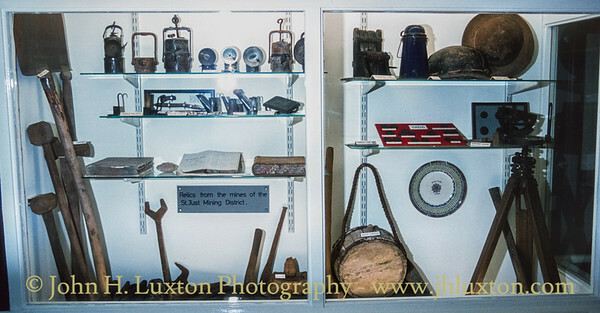 Mining artefacts displayed in the Geevor Mine Museum including a barrow wheel, miner's felt hat and a drill. 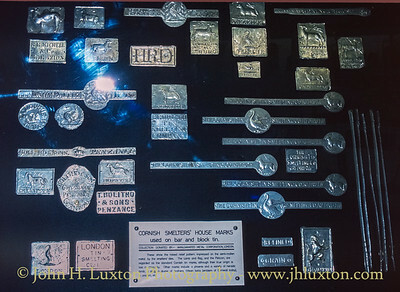 A portable set of prospector's stamps displayed at the Geevor Mine Museum. 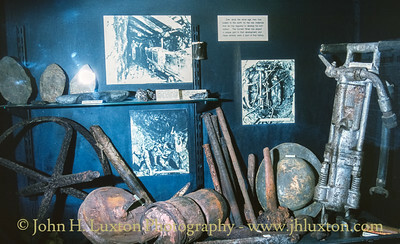 Mining lamps, tools, hats and surveying equipment on display at the Geevor Mine Museum. 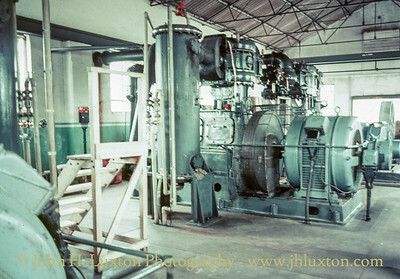 A man engine model on display at Geevor Mine Museum.